Post subject: Re: MITCHELL LURES? I recall seeing something like that previously somewhere. I'll bet one of the European members would be more knowledgeable on the subject. 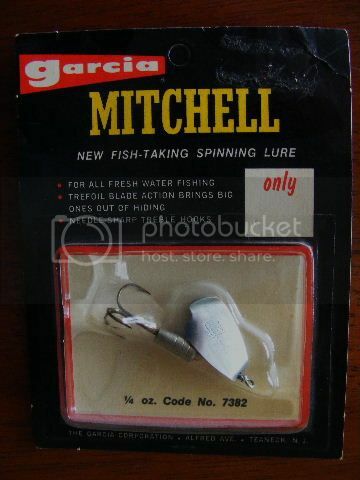 As Garcia marketed their own branded lures, I suspect that the Mitchell marked lures weren't officially sold in North America. Please see http://www.mitchellreelmuseum.com/index.php?option=com_easygallery&act=categories&cid=580&Itemid=72 for information on the lures sold by Garcia. The Garcia lures are a mix of many different brands (e.g. some of them are made by ABU-Sweden), including the above from Mitchell. 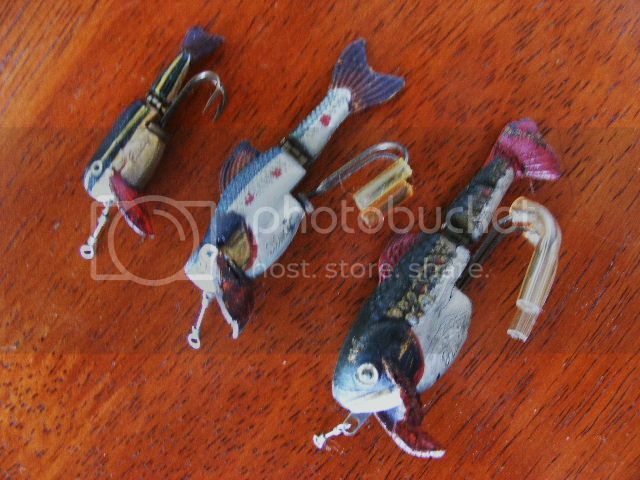 Not sure if these are the lures jpc was referring to but here they are. I didn't know about the Bracko, thanks for showing it. Wallace's link is very informative also. I was going to add the flopy lures but i couldn't find a mitchell logo on them ,only Rublex france. Maybe someone knows the story behind this . The inventor of Plucky is Mr. Roger Paul Alexander BOCCHINO. The patent was filed in 1948. Advertising books on fisheries in 1949 (photo 2). Mr. Bocchino also invented the Flopy 1954. Last edited by Liondor on Wed Nov 06, 2013 11:45 am, edited 1 time in total. Thanks for the reply and pictures! Very cool photos of the catalogs and advertisements Liondor. You learn something new here every day, thats what keeps me interested. Keep up the good work! Dries - I did the same thing with the Flopy's so didn't include them. I have to be careful not to get distracted by all the Mitchell stuff. I try to stay focused on 300 and Salt Water 302's. I particularly like the "America's Finest" at the top of the card and "From France" at the bottom of the card . I think the Voblex is from the late 1950s, the Veltic from the early 1960s and the Reflex is from the early 1970s...but I could be wrong . Can anyone remember when you could buy a lure for 0.55 cents?? Thanks Chris! More stuff to be aware of! It only makes sense that Mitchell or Garcia would market their own lures. I'll bet there are more that we don't know about yet. Hi all, some of those spinners that are shown look like they could have been made by the Mepps company in France for Garcia and Mitchell. As for the Garcia Reflex,..... 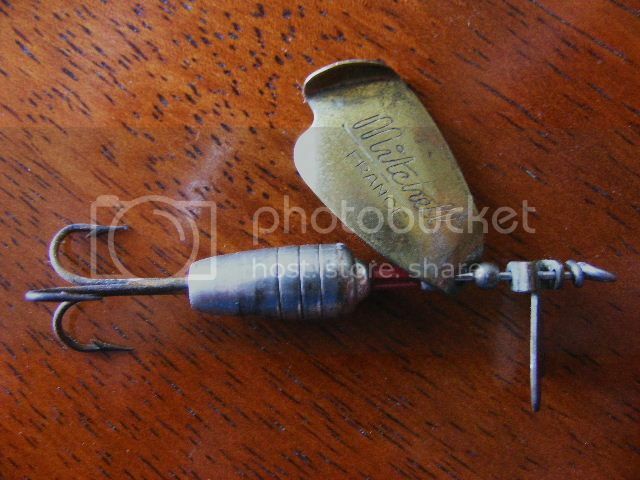 I still have a half dozen of those in my tackle box that are used every now and again. I guess I had better go through the tackle and see whats what as you never know what is hidden in all those wee little compartments. P.S.... I was at the pawn shop today and bought F335511 Mitchell 300, paint kinda rough but works like it should! Good to see you in the Forums. Seems the more I think I know about something, the less I really do know . I keep finding new (old) items all the time and with the help of other Mates, I never knew existed. I'm not sure if Mepps manufactured lures for Mitchell or Garcia Mitchell but I think your right, some of the lure characteristics are similar - particularly the bodies of some of the spinners. I do know that ABU of Sweden made many of the lures for Garcia Mitchell. And Rublex made some for Mitchell as previously stated by Christian. Perhaps some of our other Mates may have some additional insight?? Great topic here. I have NOS lures and stuff I will post here or with some help. Have PLAYTIL line and price guide with same fish jumping with hook as Garcia has. Probably bought out by Garcia when Garcia had money to burn. Mitchell NOS lures in flat boxes too. Have to get to them and take pictures to put here. Same design as the ones posted here but much earlier. Other lures also but will need time to do it right. Family stuff this weekend and vacation soon to follow. I will try and post all or as stated with some help. Not trying to tease but family first. GREAT looking stuff so far. Thanks. I got tired of the Garcia Lure card/displays taking up room on my counter tops so decided to mount and frame them to hang on the wall of the reel room. Those are nice Charles Garcia dealer cards you have framed. As to your Garcia Corp ABU-Reflex dealer card though, unfotunately the spinners mounted do not belong on that card. This is not something one would expect a Mitchell collector to know, so I may be getting off topic. However, since it's posted here, I thought you and others would appreciate knowing. Garcia did not ever sell any Reflex spinners with foil on the blade; maybe post 1981 Abu Garcia did. The only brown Reflex that Garcia ever sold was in the Fishscale series made by ABU (Sweden) solely for the Garcia/US market. Garcia sold the brown Fishscale 1964-66 (the other members of that series, however, were sold 1964-76). Your dealer card has "Brown/Silver No. 7544" printed on it, which matches the brown Fishscale number and brown/silver blade shown in the 1964 Garcia Annual (see below). I have included a blister card below for a better image of the spinner (on a single card apparently the number becomes 7644). Also, your dealer card has "LURE-LOCK Snap Swivel" printed on it (yet no snap swivels are actually attached). I have attached another 1964 page to show that snap swivel by Garcia. Plus, don't those mounted spinners look big for 1/4 oz? 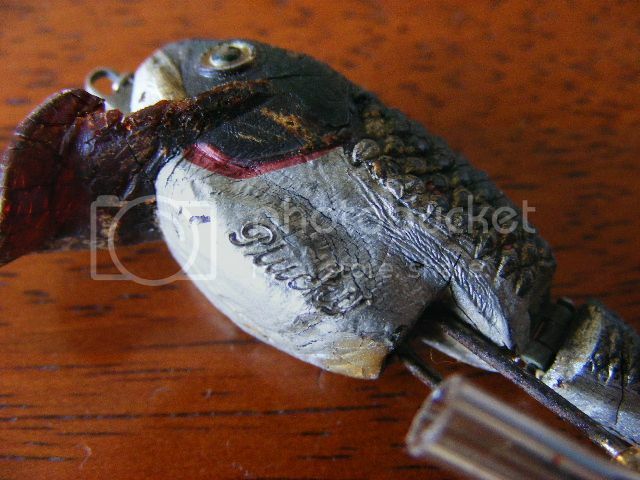 Not by Mitchell (yet sold by Garcia, but maybe still slightly off topic for this forum), however, a highly successful lure. Nearly 18 million sold in the US by early 1974 (stated in ad below). Sorry for the late response as I just got back to civilization as you can see from my post/explanation in the Mitchell Why/Where Section. Thank you for your information as I have only minimal knowledge of Mitchell / Abu / Garcia lures. I knew when I received this dealer card that it was not all original and I hope I didn't make the impression that it was. The number on the card is 7644 and indicating a brown/silver ABU Reflex lure....of which none of these are. There are no snap swivels attached to the lures as indicated by the card. They are all stamped on the back side of the spinner blades. I just thought it was a very nice piece as all of the lures are actual new ABU Reflex lures and the card is in quite nice condition. My thought is how often do you get 12 new ABU Reflex lures on a very nice card for the right price - Free, and it looks nice in my reel room. I appreciate your correction because I honestly didn't know (aside from the brown/silver part). Would be interesting to know more about the Mitchell / ABU / Garcia lures and their designs, manufacture and timeframes. NP. So glad to see you back. I think we would need French mates to tell us more about the history of these spinners in France. If you (or others) ever go for historical accuracy on such an ABU Reflex Spinner Garcia Corp dealer card (aka easel or display card), I'd like to share what I recently observed on other such 1/4 oz cards of that era. The spinners were mounted somewhat diagonally (not vertically as you have) - the treble hook was inserted under a straight line from the adjacent (next right) spinner's shaft eyelet. This had the effect of displaying both the body and the convex side (exterior surface) of the hanging spinner blade. (That said, this was not the case for all Garcia Corp. dealer cards.) The spinners were mounted onto the card by the eyelet of the shaft - the Lure-Lock snap-swivels (referred to on the card) hung down from the spinner eyelet. Well gang I finally took some pictures of my lures. Will post them as much as I can in the next couple of days. So here are a few. 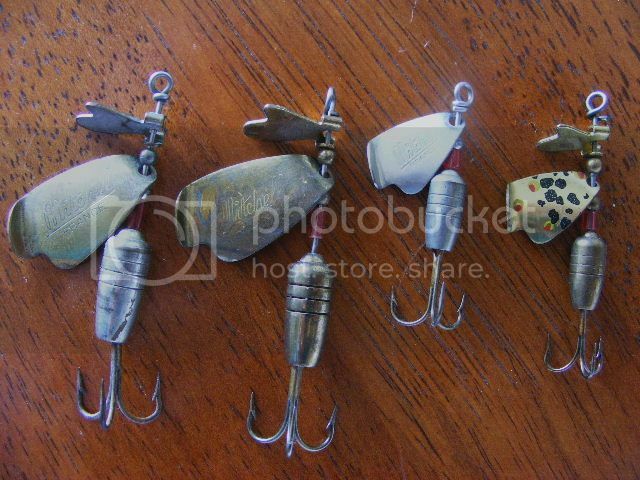 A NOS box of these lures IDENTICAL TO GARCIA'S but pre Garcia. I think Garcia contracted them out like reel company's and lure company's did to generate extra income. I forgot to post the actual pictures of the lures. 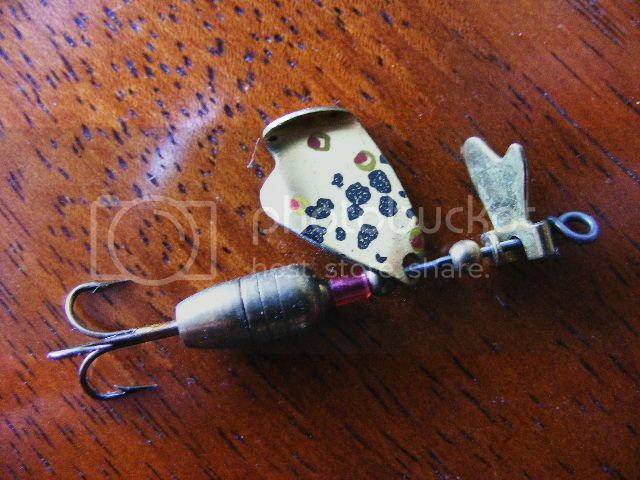 You see they are Voblex identical to Garcia's that Chris had posted. The picture has a certain "twist" to it. A nice find. Awesome pike illustration! A have a similar Rublex Veltic spinner box (Veltics were also imported by Charles Garcia). I don't know if you've noticed this. The box lid can be folded back (in half). This displays the fish art and the spinners at the same time. (Be careful though. I use a plastic spatula.) This suggests the box could have been used as a dealer display. I think there are some possibilities about this box: 1) It is from prior the time Garcia imported Voblex (if I understood you correctly). The earliest Charles Garcia ad I have is July, 1952 in The Fisherman magazine. However, I would not be surprised if someone tells us imports were much earlier. Or, 2) Charles Garcia imported/sold this box. (As an ABU collector, I have many Sweden-printed boxes that Charles Garcia sold in the US.) Or, 3) This is a box sold by Rublex in Europe. The handwritten price with a comma instead of a decimal point would seem to indicate that. The timing of the box could be before, during, or after Garcia imports. More lures. I believe the yellow box is older than the blue one looking at the writing style. Haven't checked any catalogs due to hot weather and work. Some more. On card like Chris's.